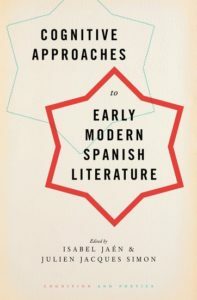 Cognitive Approaches to Early Modern Spanish Literature is the first anthology to explore human cognition and literature in the context of early modern Spanish culture. It features the leading voices in the field, discussing the main themes that this important area of study has been producing. The book begins with an overview of the cognitive literary studies research that has been taking place within early modern Spanish studies over the last fifteen years. Next, it traces the creation of self in the context of the novel, focusing on Cervantes’s Don Quixote in relation to the notions of embodiment and autopoiesis as well as the faculties of memory and imagination as understood in early modernity. It continues to explore the concept of embodiment, delving into the mechanics of the interaction between actors and audience in both the jongleuresque and the comedia traditions. Centering on cognitive theories of perception, the psychology of immersion in fictional worlds, and early modern and modern-day notions of intentionality, it discusses the role of perceiving and understanding others in performance, Don Quixote, and courtly conduct manuals. The final section focuses on the affective dimension of audience-performer interactions in the theatrical space of the Spanish corrales and how emotion and empathy can inform new approaches to presenting Las Casas’s work in the literature classroom. The volume closes with an afterword offering strategies to design a course on mind and literature in early modernity.